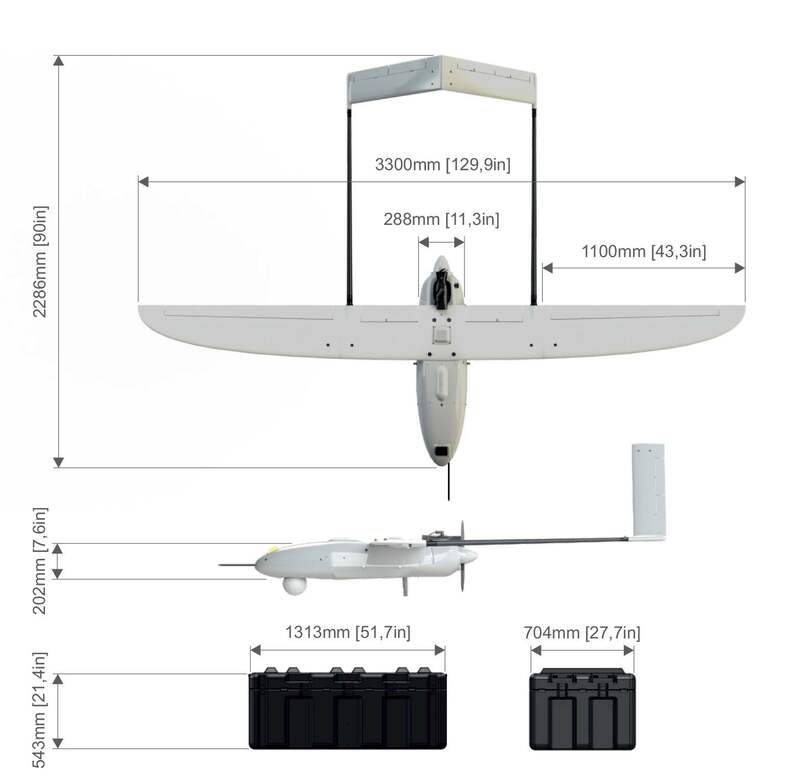 Turnkey system consists of two unmanned aircraft vehicles (UAV), one ground control station (GCS), one ground data terminal (GDT), pneumatic launcher and ground support equipment. Drone, almost imperceptible by any radar. Cannot be destroyed by conventional small arms only with the expensive and precision missiles. Successfully applied in both the military as well as civilian sectors. 21.5 kg / 47.5 lbs. Flight in icing conditions is not approved.